Zachary Levi took to social media to hit two birds with one stone. Not only did he unveil a brand new poster for Shazam that’s light and kid-friendly, he also confirmed that we’ll get the next trailer for Shazam in 2019. 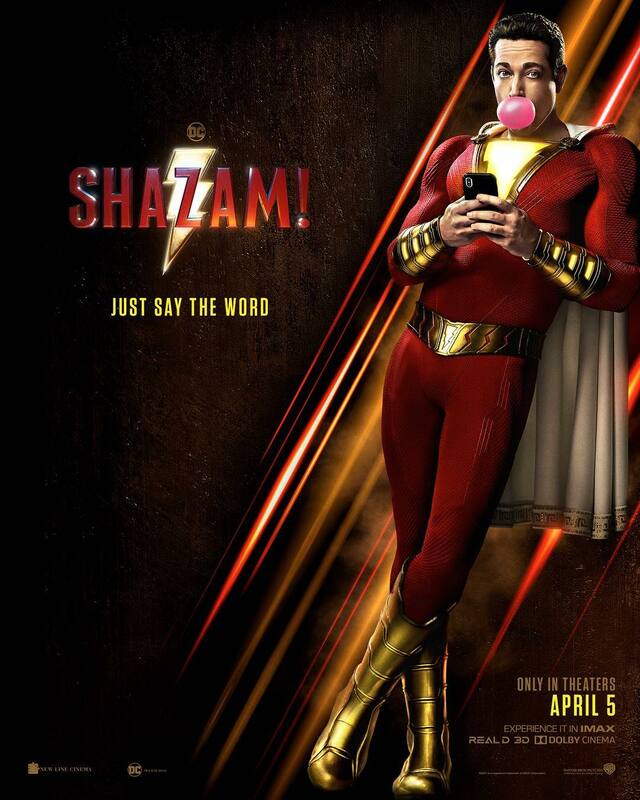 The poster itself has Levi’s Billy Batson highlighting his true age as he blows bubblegum while casually surfing a smartphone. Levi’s post should quash rumors of a Shazam trailer appearing next week. Considering that DC’s Aquaman is about to release on December 21, it would’ve been a wise strategy to had the trailer out and attached to that movie to spread awareness and reach a wider audience. With that out of the way, the real big movie against which we can see a Shazam trailer in January is M. Night Shyamalan’s Glass, an odd and unsuitable choice given the nature of both movies. We’ll find out not before 2019. Meanwhile, feel free to share your thoughts on the poster and the trailer news in the comments below. Shazam hits theaters on April 5, 2019, as the post conveniently reminds us.